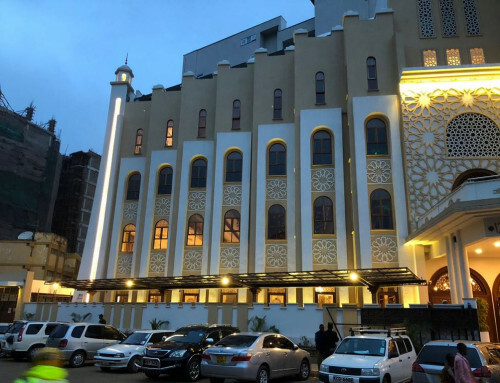 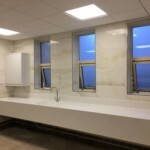 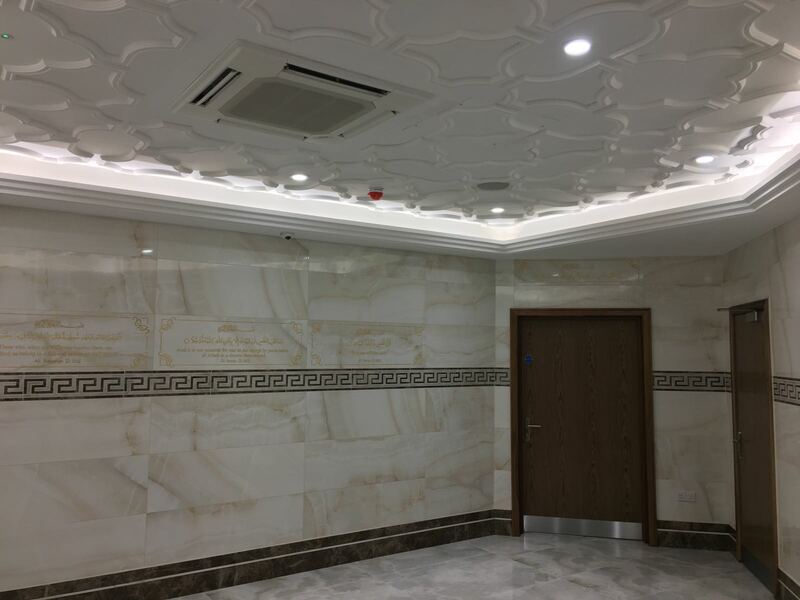 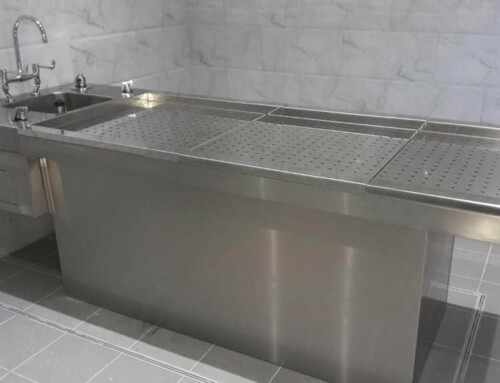 Kenyon were approached and short listed to be part of the new build Hyndburn Jamia Masjid team and supply the Ghusal Khana equipment. 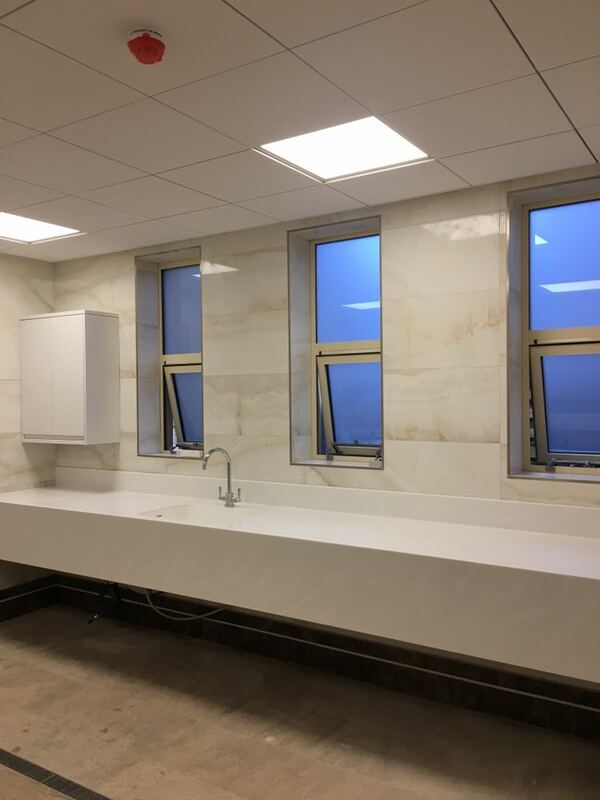 The building was to be a unique show case new build, with the best materials sourced from all over the world. 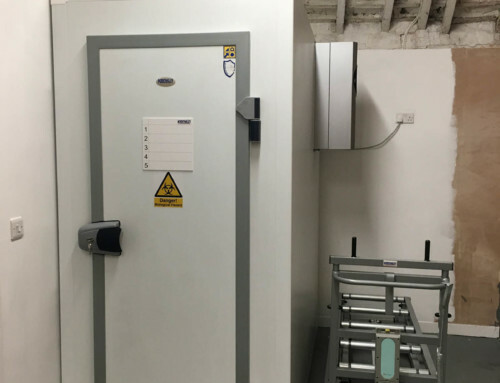 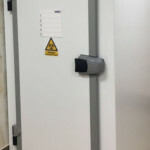 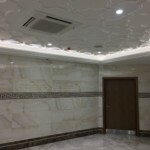 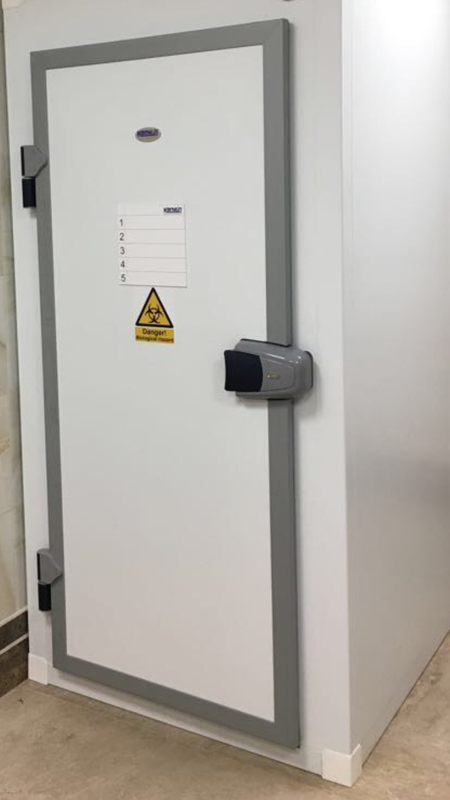 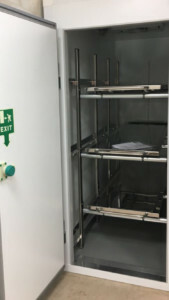 Kenyon supplied their high efficiency Modular Italian Cold Room made using our unique patented “Profile System”. 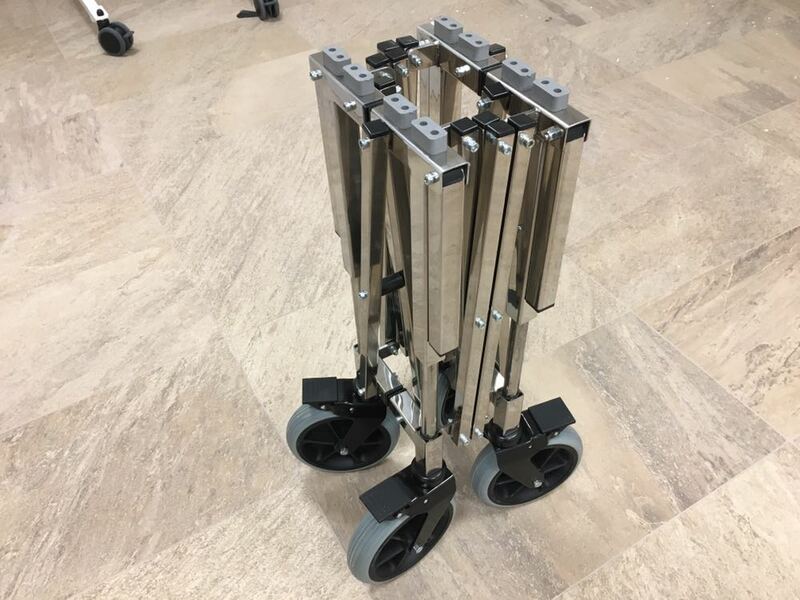 This enables every panel to lock together from the floor to the ceiling. 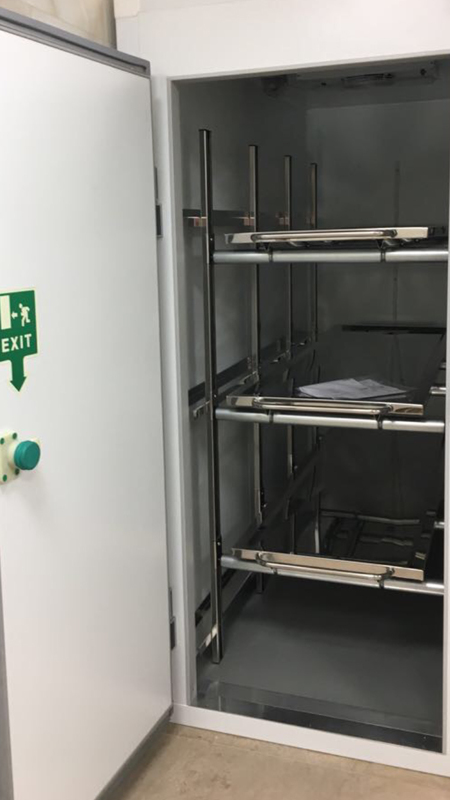 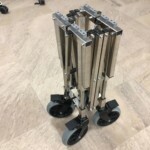 There are no screws, rivets or 90 degree angle sections used in our build as the whole unit is totally modular and locks together with a key. 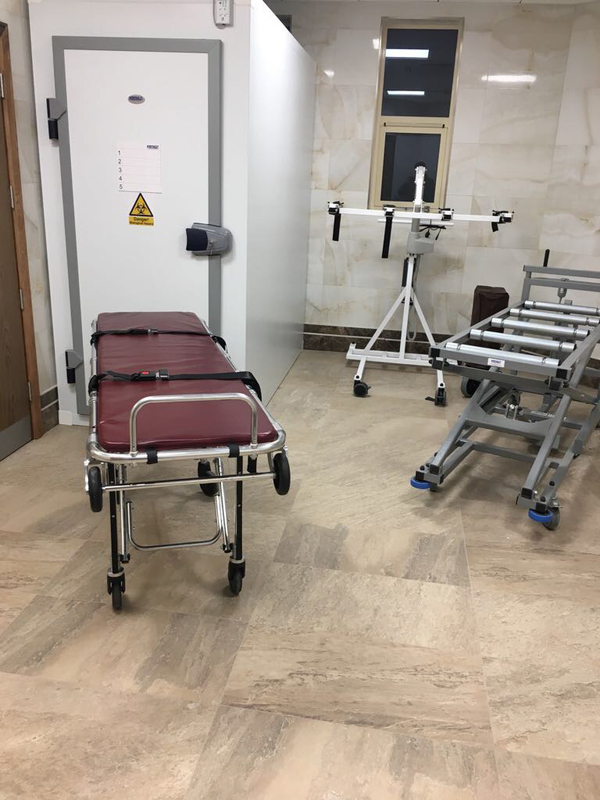 The chamber door was supplied extra wide at 800 mm so coffins could be inserted in to the chamber and then on to the Kenyon full width rollers. 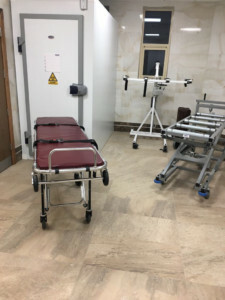 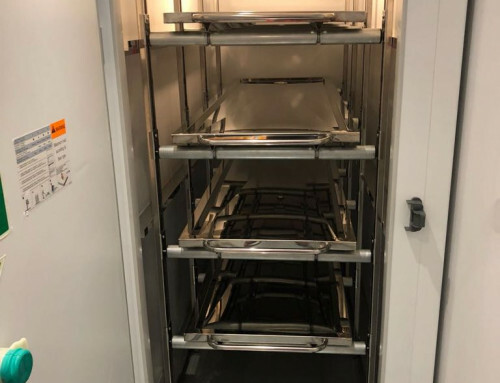 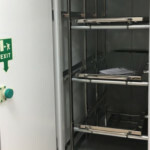 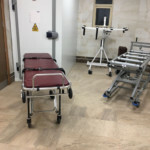 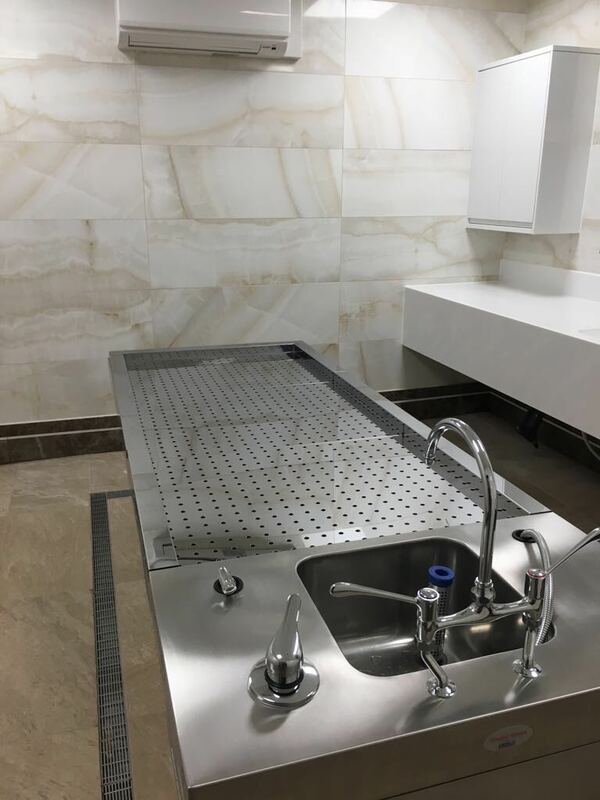 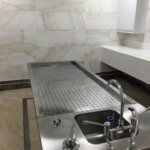 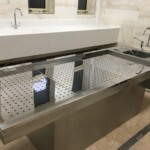 The Body Trays were manufactured from high grade Medical Stainless Steel and completely hand polished to look like mirrors, with no raised areas at all. 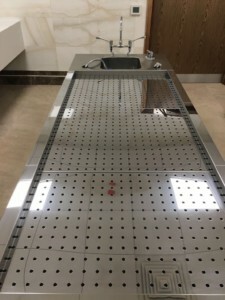 The Kenyon Ghusal Table was another unique build. 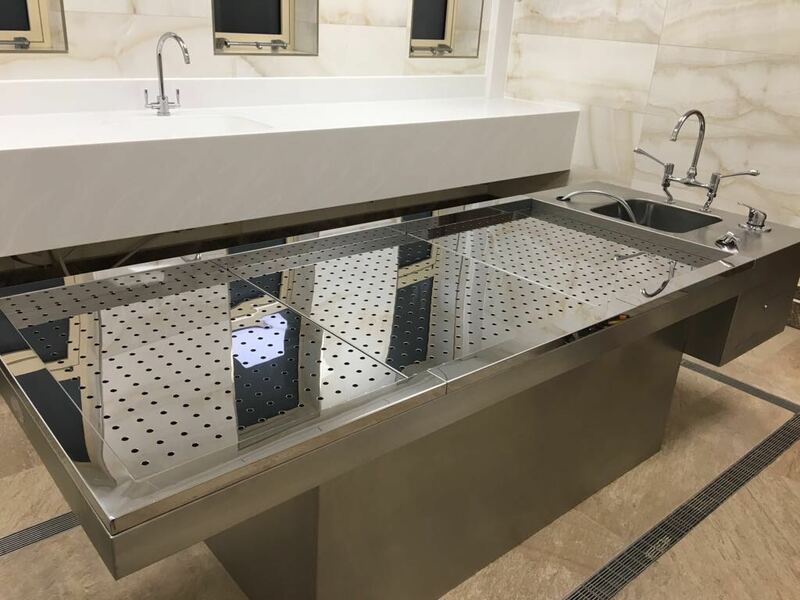 Designed and manufactured as the client wanted it. The table was manufactured from high grade Medical Stainless Steel. 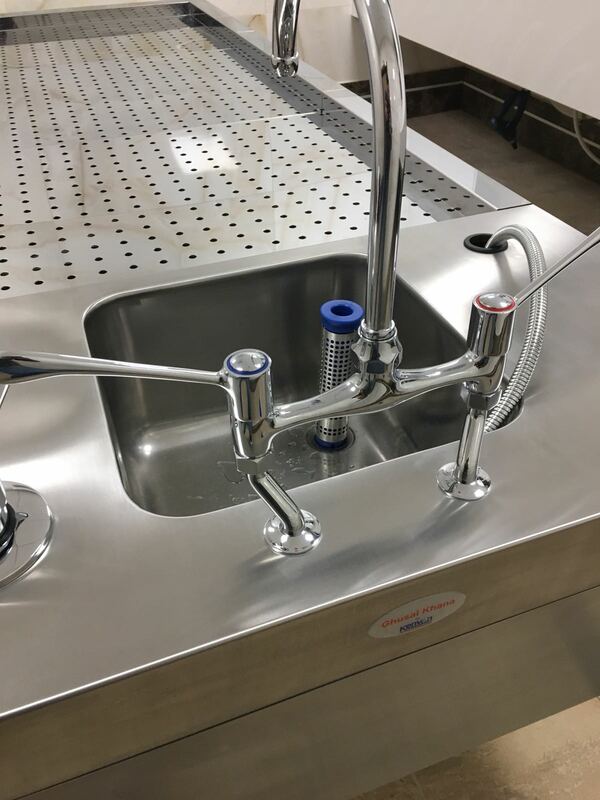 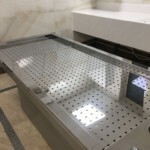 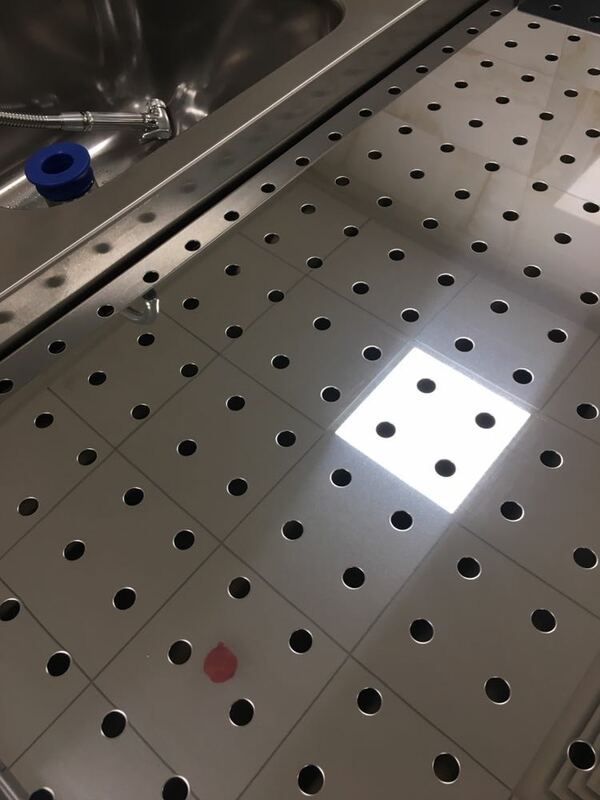 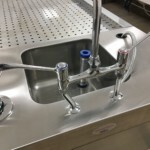 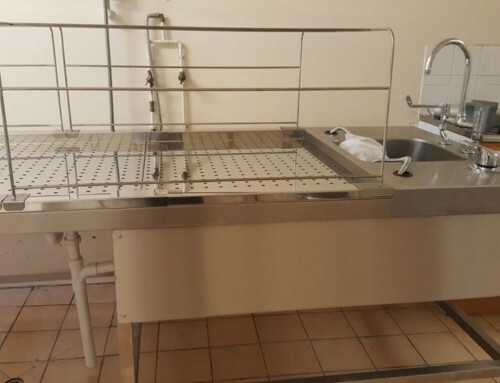 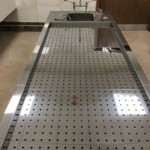 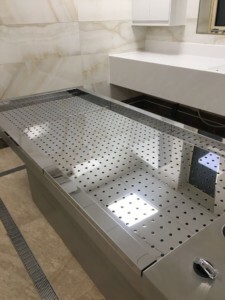 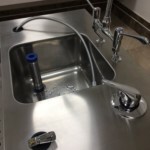 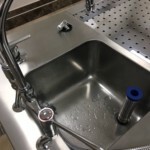 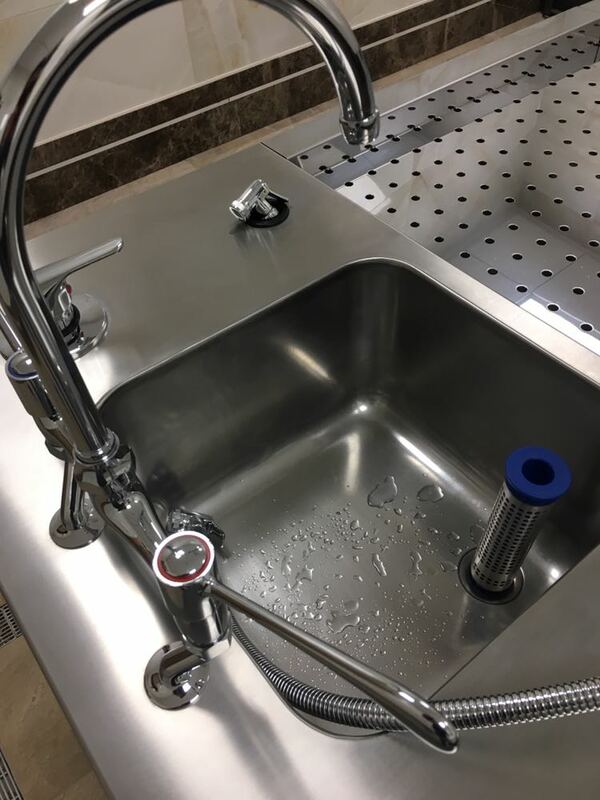 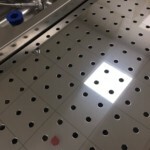 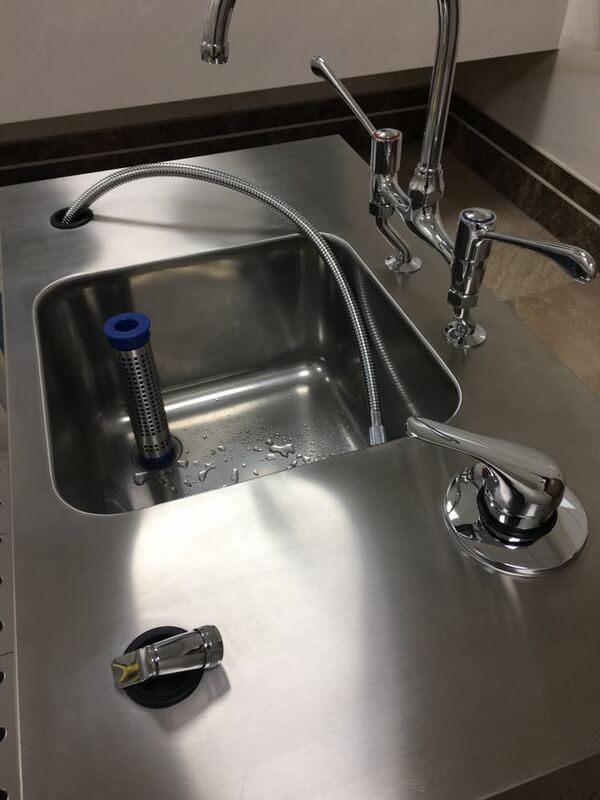 The 3 removeable Body Trays were manufactured from high grade “Bright Polished Stainless Steel” then laser cut and punched with larger 12 mm holes for faster drain away of foul water to the sparge area below. The plenum under the Kenyon Ghusal Table houses all the water connections and supply services so they could not be seen, but easily reached via a removeable service panel if need be.